Since this week has turned out to be mostly car focused, we’re going to end with one more car post. I’ll say up front that there are LOTS of things I wish my car could do. Like, if we’re specifically talking about my 2003 Camry, I wish the steering wheel would not squeak all the time. I wish all of the doors would unlock when I click the remote. I wish it had stereo controls on the steering wheel. I wish it would drive itself. I wish it could fly. I’ve also written extensively about a more complicated feature I wish all cars would have: If you leave your windows open a crack in the summer, if it starts to rain, they would automatically close. That would be wonderful. 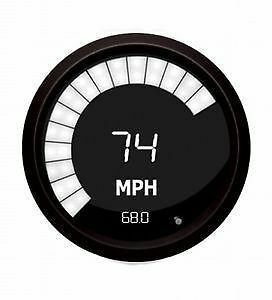 But I’ve already talked about that, so here’s the new thing I wish my car–and all cars–would do: I wish they would tell you the speed limit. When I’m driving, I try to follow the speed limit pretty closely. I typically go 5-10 mph over the limit, depending on the type of road. But there are so many times–especially on the highway–when I realize that I have no idea what the speed limit is. The signs aren’t always there to tell you. Sometimes they’re separated by miles or you just miss it. Many cars have built-in GPS now, and I’m pretty sure that GPS knows the speed limits–that’s part of the equation when they estimate travel time. So on your dashboard, what if the car could not just tell you how fast you’re currently traveling, but also the current speed limit? It could even alert you if you’re going too far over the speed limit–the number could turn from green to yellow to red? Maybe some fancy cars already have this feature. Or maybe it’s a terrible thing that no one wants–perhaps people don’t want to be reminded of the speed limit. I don’t know. What do you think? This entry was posted on Thursday, October 27th, 2016 at 9:06 pm	and is filed under technology. You can follow any responses to this entry through the RSS 2.0 feed. All the GPS’s I’ve used show the speed limit and warn you if you go over. It’s a standard feature on any separately bought TomTom or Garmin as far as I can tell. I want my car to drive itself, I’ll have to wait a few more years for that though. :P.
Terence: That’s great! I have a Magellan, and it doesn’t do that. Our fairly new Toyota Sienna does exactly what you’re asking. I’ve heard of post-consumer products that are basically a variable governor switch, which disengage the accelerator if you exceed the speed limit. Pretty big bummer when those get the wrong (lower) speed limit. Chris: That’s awesome! Well, the Sienna part is. The variable governor switch that isn’t always right is considerably less awesome. It all depends on what you are referring to. GPS the positioning system just tells you where you are in coordinates. Many cars nowadays also have mapping and travel systems that will tell you your route. Up until recently the maps didn’t update either. The feature of Garmins and TomToms, or your phones system is that it updates, can tell you traffic etc, but many times doesn’t have the accurate data of what the speed limit is. Estimated travel time is mainly how long on average it has taken other users to travel the course you are on, or the distance on average in the area. If states/cities would have a database of what speed limits were in their area accessible to map companies easily, they could very well include the data. But unfortunately this is not something that is common or accessible, though I wish it were. Sean: That makes sense about the availability of the data. It would be a lot to manage and maintain. I can get behind all of the ideas…but having recently moved to a new office, which extends my commute time, I’m a bit fan of self-driving cars (oh, and an integrated coffee maker)! I’m with you, Joe! I can’t wait for self-driving Frappacino makers.